Cray seems to find an ally in the FBI, though the profiler may be as interested in Cray as any murder suspect. I hope that this relationship continues in future books. This is another home run for me from author Mayne. It was very hard to put down so I didn’t do that much. My only qualm is the cliff-hanger at the end. It was well done, but I HATE cliff-hangers. Hate them. This article was published on Feb 10, 2019 . 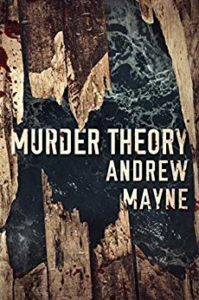 It is tagged andrew mayne, Murder Theory, The Naturalist, theo cray. You can follow any responses to this article through the comment RSS feed.